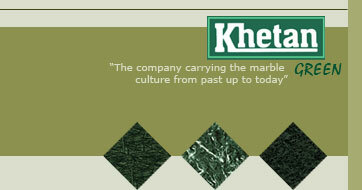 Khetan is a business trinity of scientific mining, technically superb processing and international marketing of India’s finest serpentine green marble. The company has a distinguished track record of versatile mining of over three decades. 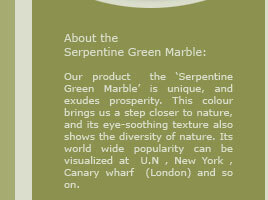 The company is one of the pioneers in India's green marble industry and is amongst the largest producer of Serpentine Green Marble in the world. 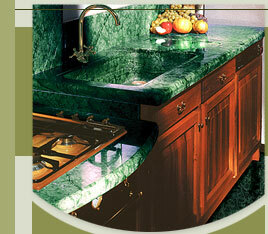 The company has brought this green marble to daylight extracting it from its natural cover of millions of years and today Khetan is an Indisputable brand with its reliable working principles, and commands a very strong presence in the global market.